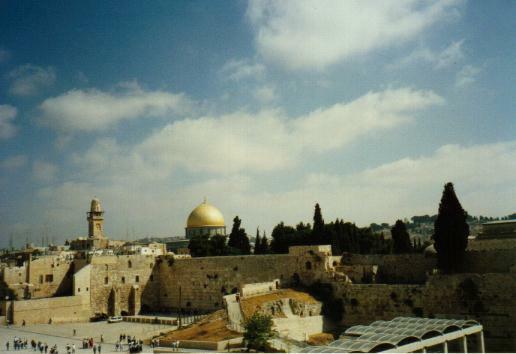 The Western Wall, Jerusalem is the Holiest place of Prayer for Jews today. The Temple used to stand here prior to it's destruction in 70 AD by the Roman General - Titus. Mary took Baby Jesus to be presented in the Temple's courts as part of her religious duty. (Refer to Luke 2: v 21-24.) 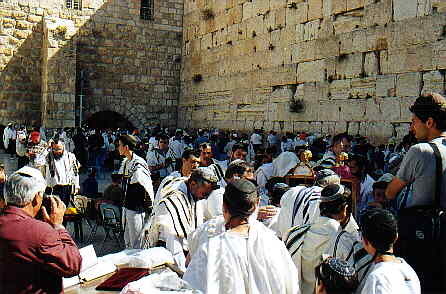 Today the Western Wall continues as a place for the study of Torah scrolls and prayer.